LONDON -- Nissan Motor Co. will conduct its first European real-world trials of self-driving cars in London, choosing Britain just months after it said it would build two new models in the country despite concerns over Brexit. 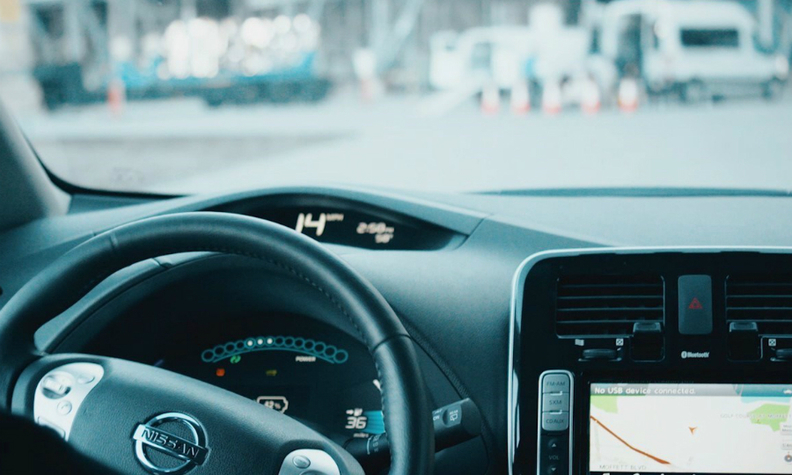 The government has said it wants to encourage the development and testing of autonomous driving technology in the UK, helping to build an industry to serve a worldwide market it reckons could be worth around 900 billion pounds ($1.1 trillion) by 2025. On Friday, Nissan said a modified version of its compact electric Leaf car equipped with autonomous driving technology will be tested in the capital next month, the first such demonstration on European public roads. "With future models secured and cutting-edge innovation being developed right here in the UK, we're looking forward to a strong future of designing, engineering and manufacturing in the country for customers right across the world," said Nissan Europe Chairman Paul Willcox. In October, the firm, which builds around a third of the UK's total car output, said it would expand production at its plant in northeast England with output of the next-generation Qashqai SUV and the start of X-Trail manufacturing at the plant. At the time, a source said the government had promised extra support to counter any loss of competitiveness caused by Britain's EU exit.